Britannia good day rich butter cookies are 100% vegetarian and suitable for all ages. Britannia good day rich butter cookies have rich butter content in it, which attracts the butter lovers towards it to buy it and get a bite of it. Unibic Fruit & Nut Cookies is a delectably soft and chewy cookie with blackberry, cranberry, cashew, tooti frooti and almonds. These cookies are a grand snack to have with coffee or tea, or just to treat yourself with a small packet of tasty cookies they will become your daily dose of deliciousness. Britannia good day rich cashew cookies are 100% vegetarian and are very delicious. It has good flavor of cashew nuts. Sunfeast brings to you the original yummy gourmet cookie experience, generously filled with almonds and cashews. It gives delicious taste. heat Flour, Sugar, Edible Vegetable Oil, Butter (3.0%), Invert Sugar Syrup, Starch, Calcium Carbonate (1%), Milk Solids, Leavening Agents [INS-503(ii), INS-500(ii), INS-450(i)], Edible Common Salt, Emulsifiers (INS-471, INS-322), Dough Conditioner (INS-223). Parle 20-20 Cashew Cookies are crispy, good and sweet in flavor. These cookies are baked to a golden brown crispiness to melt in the mouth and leave you with the flavor of excellence. Bigger than most others in the salty biscuit group, Snacky is light and crunchy like no other. The first of its type in India, and it has an exclusive variety and flavors in group of salted Masti biscuits. The salty biscuits are everyone's preferred buddy with a hot cup of tea. Parle 20-20 Butter Cookies are baked to a golden brown crispiness to melt in the mouth and leave you with the savor of excellence. These cookies are crunchy, sugary and good in flavor. Buy Butter Biscuits Online at Foodzu and get attractive discount on every purchase. We know that some of the most effective conversations happen over a cup of tea. There are famous quotes that states Happiness is a nice hot mug of tea and a packet of biscuits. If you love biscuit than including Butter and Fruit Biscuits over a cup of tea will boost your mood. If you're health conscious, select the biscuits which are rich in nutritious ingredients such as milk, coconut, oats fruits, and butter. A wide range of butter Biscuits is produced in India and therefore the Foodzu online stores offer you the chance to choose your favorite butter biscuits at cost-effective prices. Are you planning to Buy Fruit Biscuits product Online? If yes, buy healthy Fruit biscuits from all around the globe in a single click at Foodzu. 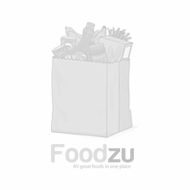 The Foodzu is the best online grocery store Bangalore who offer Fruit Biscuits at the pocket-friendly price. In your busy life, we provide you an online facility to buy Fruit Biscuits from the comfort of your home. Shop high quality of Fruit Biscuits at Foodzu Online grocery store and get it delivered right to your doorstep. Enjoy the easy and relaxed way of online grocery shopping in Bangalore from top brands at pocket-friendly prices.